This morning Breezway was honoured to have a visit from the Prime Minister of Australia Mr Tony Abbott and local candidate Dr Bill Glasson. 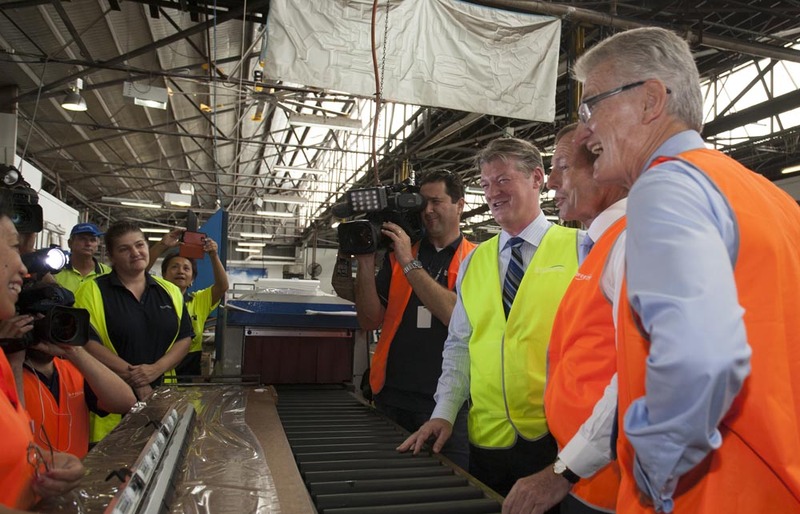 Mr Abbott and Dr Glasson toured the factory alongside Breezway’s CEO, Mr David Brogan, to learn about the history of louvres and the manufacturing process involved for the highly customised louvre windows that Breezway produces. Mr Abbott toured the business and spoke with various employees. He was very complimentary on the longevity of the business and the advantages of working for an innovative Australian company. During their visit, Mr Abbott and Dr Glasson discussed with David Brogan the benefits associated with passive cooling and naturally ventilated environments. Mr Abbott recognised these benefits, stating he likes to turn off the air conditioning and open windows to enjoy natural breezes. In fact Mr Abbott also noted that he had installed louvre windows in a renovation of his own home and loved them. Mr Abbott and Dr Glasson were taken through the Breezway Head Office which showcases the Altair Louvre Window product, in particular the Altair Powerlouvre Window which is controlled by a building management system to reduce the amount of air conditioning consumed in an office environment throughout the day. He was thoroughly impressed with the building and the way it assisted with energy savings. 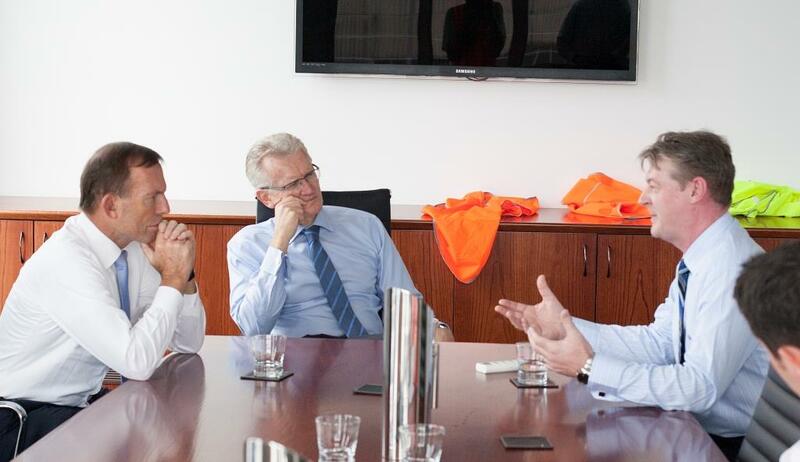 Mr Abbott praised Breezway for being an innovative business and for retaining manufacturing capabilities in Australia.